It’s been a month since starting work at Cavey’s in Manchester, CT and we have just started to receive all of the local spring goods such as ramps, fiddlehead ferns, and mushrooms. The one that has surprised me the most though is, the local fish, Shad. 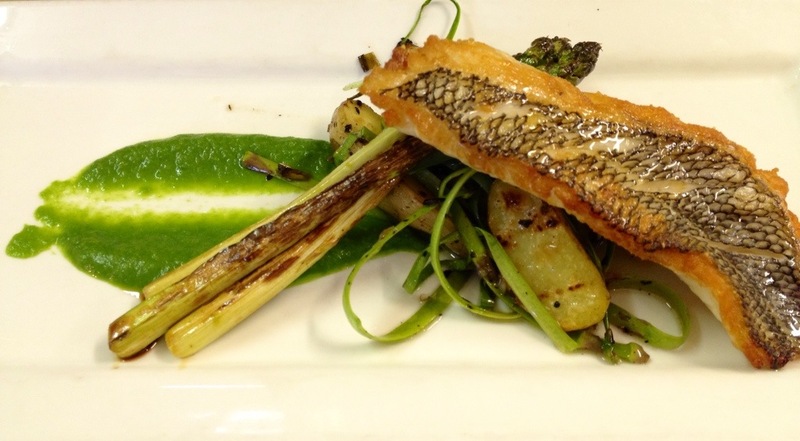 When shad season starts you better have it in your restaurant, we receive calls daily asking if we are running any shad specials or if it has made it to our menu. 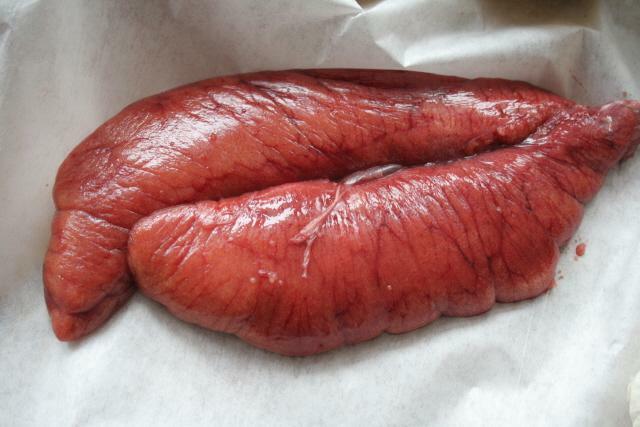 I was more excited to get the roe as I have not had a chance to work with it much, until we got the filets from our fishmonger. Each filet of Shad has four rows of curved bones and the art of filleting Shad is a 400 year old tradition for most fishmonger’s. The fish is very similar to herring and is typically and best served with the roe, and at Cavey’s we wrap the roe in pancetta before pan frying. Finally, there have been a bunch of tasting menus from vegetarian to all meat since the last post so here are the ones I was able to capture. There are still an abundance of apples in the North East which means there are still a lot more cider doughnuts to eat. 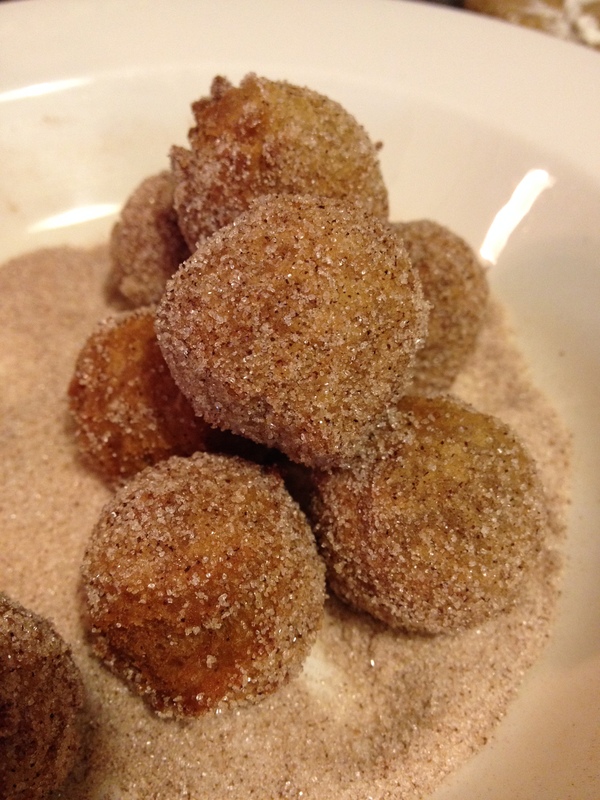 Try our recipe for these delicious gluten-free fried doughnuts, guaranteed to satisfy on those cool North East mornings. Don’t forget to subscribe to our emails so you can save when ordering!